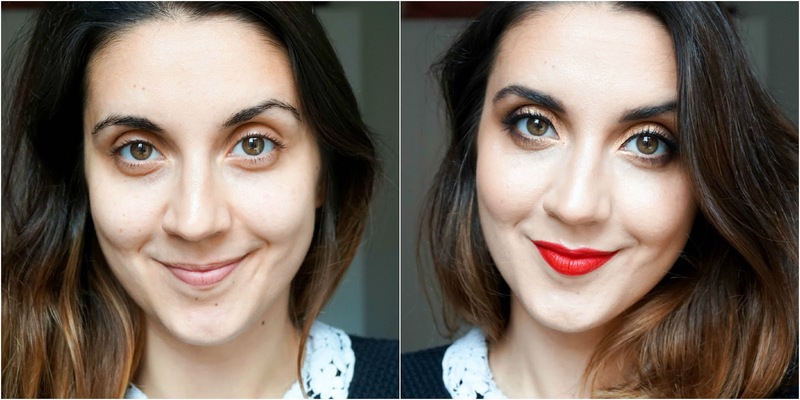 After telling you about my new found love for red lipstick, MAC Ruby Woo to be precise (you can read my full review here if you'd like... just saying) I just had to create a makeup look with it. 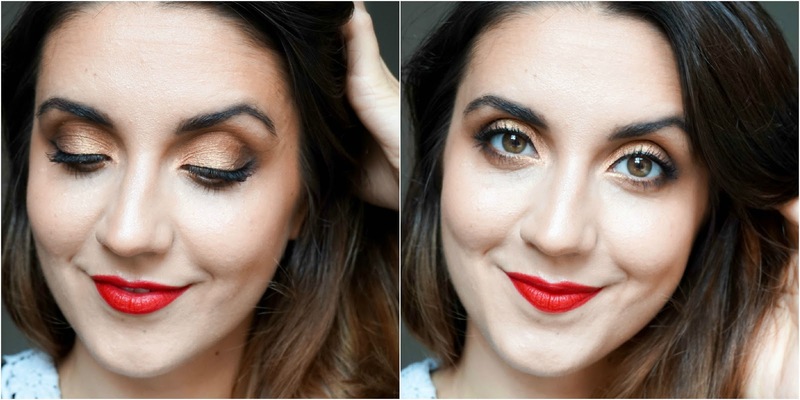 What made me create this particular makeup look especially, was the fact that I recently got my hands on a few MAC pigment samples from a lovely fellow blogger on Twitter (@TheeJude check her out), so I was eager to use the gorgeous golden peachy shade Melon and pair it up with this bright red lipstick. I'm actually super happy with how the look turned out and I think it instantly gives me a touch of glamour (as you can see in the before photo above). I have to admit MAC are ticking all the boxes for me at the moment and I am in love with this golden peach pigment shade, not to mention how easy it was to apply… it just has that wow factor for me. I used my recently purchased NARS Tinted Moisturiser is shade Alaska for a light coverage. To add a healthy glow to the skin I stippled on Becca Shimmering Skin Perfector in shade Opal, another new product to my collection. I then set it all in place with the Bourjois Healthy Balance Powder in Light Beige. I'm still getting to grips with my new products, but I will have a review of them in the future so keep an eye out for that. So far so good though, no major complaints. Next I added a touch of colour back into my skin using the Clarins Summer Bronzing Compact with a very light hand & then applied Benefit Coralista for a touch of coral shimmer. To enhance that glowing complexion for a light 'strobing' effect, I dusted Makeup Revolution Exhale Radiant Powder on the top of my cheekbones, brow bone, Cupid's bow & bridge of the nose. Then it's onto the eyes and please excuse my poorly created GIF (but I spent such a long time trying to find a good program to create & finalise it until I had the best quality, so I just had to include it). If any of you have tips on how to create a GIF whilst still keeping the high quality please let me know because this was as good as it got for me... Anyway the steps are all pretty self explanatory if you read the instructions in the GIF ( I slowed it down on purpose so you would be able to actually read it) but if you gave any questions don't hesitate to ask me in the comments below. To finish the eyes I used a mix of Blinc Black Lash Primer & Benefit They're Real, my favourite duo for voluminous lashes. Then brows are kept quite natural yet defined using Benefit Gimme Brow. Lastly of course is the star of the show… the Ruby Woo lipstick, which I carefully applied after priming my lips using MAC Prep + Prime Lip Primer. 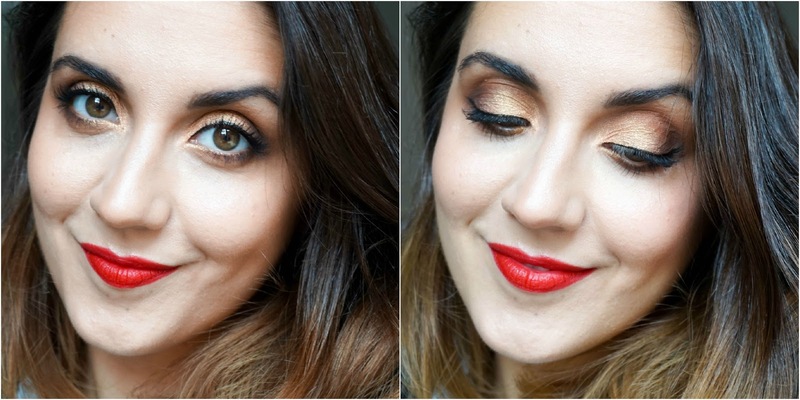 I really enjoyed this makeup look, even if I am seriously stepping out of my comfort zone with the red lipstick. I guess if I had never taken the step to begin with, I would have never known just how much I would love this kind of shade, so it's always worth trying something out before saying no. I'm also surprised at how easy it was using this MAC Pigment… I always thought it would be super messy & complicated but once again I've been proved wrong. So with that being said I'd love to hear your thoughts on this makeup look. Is it something that you would considering wearing? 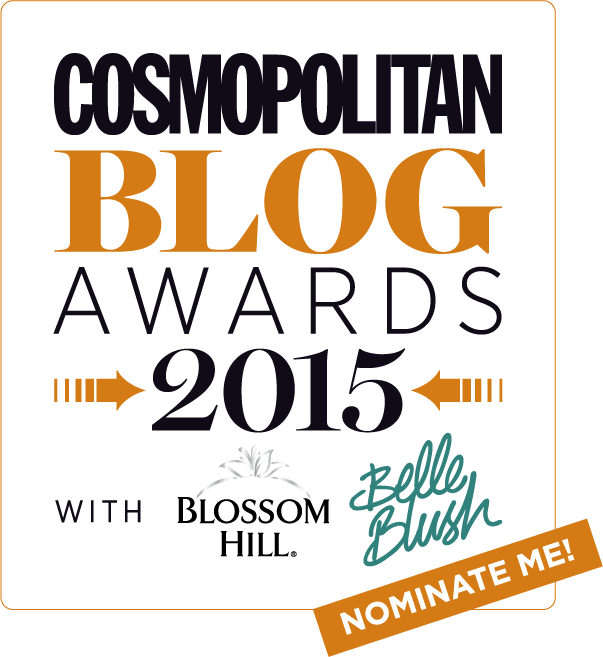 By the way I have just noticed that somehow the Cosmo Blog Awards are back once again this year… better late then never right. And yes once again I am shamelessly putting myself out there and asking you to vote for me in the Best Beauty Category if you think my blog deserves to be nominated. It would mean the world to me, I mean hello it's Cosmo, so if you happen to pop by the official website here, I'd love if you took my blog into consideration.